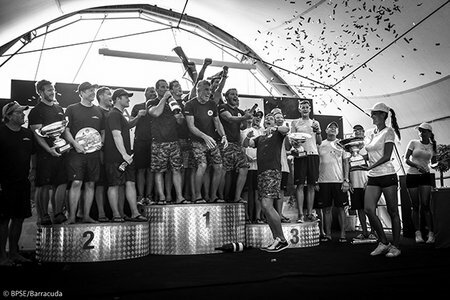 Trapani, Italy – Congratulations are in full order for Alessandro Rombelli and his STIG 2015 Melges 32 World Champion team that includes tactician Francesco Bruni and crew members Pierluigi De Felice, Giorgio Tortarolo, Michele Giovannini, Daniele Fiaschi, Luca Faravelli (2010 World Champ) and Filippo La Mantia. Less than one year ago, Rombelli found himself fourth overall at the Miami Worlds. A complete European sailing season later, he now sits atop as ‘King’ of the world’s most highly competitive, yet extraordinarily rewarding one design class – the Melges 32. 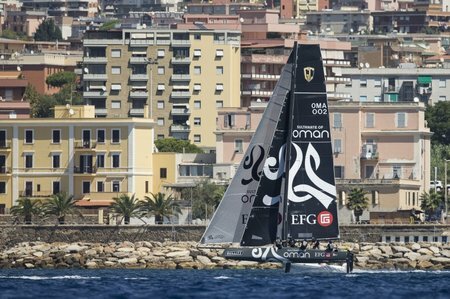 Oman Sail’s crew on Sultanate of Oman capped off a stunning month by winning the Trofeo di Roma and stretching their overall lead in the 2015 Bullitt GC32 Racing Tour. 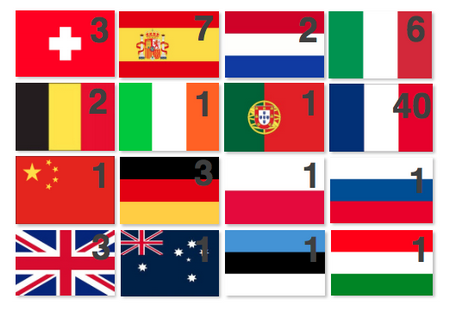 Trapani, Italy – Any sailor thinking they were going to have a shorter day after an on-shore postponement on the fourth day at the 2015 Melges 32 Worlds Championships in Trapani were sorely mistaken. 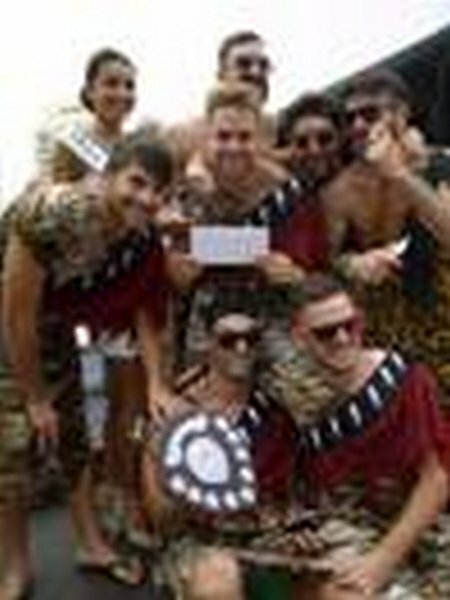 The plan was to delay the start, wait for the breeze to build and bang off three quality races, but instead a weak northerly wind tricked and teased the twenty-two boat fleet, eventually completing two races under a setting sun that shook up the standings for a second day in a row. Did you say it was cosmopolitan? The Mini Transat îles de Guadeloupe remains true to tradition. 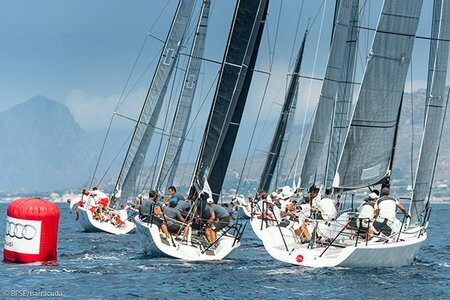 With 46% of entries coming from outside of France, contributing to the reputationnotoriety of the Mini Class, it is one of the most internationally renowned editions of offshore races in the world. Here, wWe look at the entries, candidates for the big adventure, some of which have left behind commitments to pursue their big dream. August 28, 2015—The first-of-class oceanographic research vessel R/V Neil Armstrong (AGOR 27), has successfully completed acceptance trials. 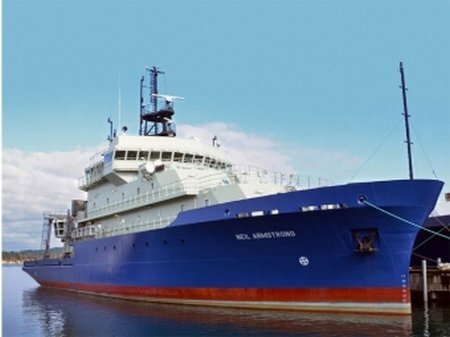 Built by shipbuilder Dakota Creek Industries, Anacortes, WA, Neil Armstrong is a modern mono-hull research vessel capable of integrated, interdisciplinary, general purpose oceanographic research in coastal and deep ocean areas. 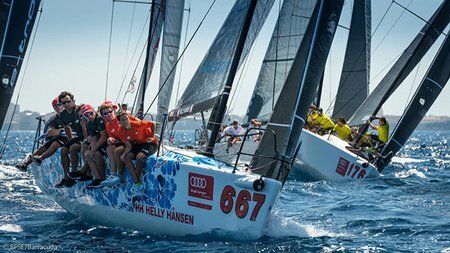 Trapani, Italy – A high pressure system hung over Sicily for the start of the third day of racing at the 2015 Melges 32 World Championship organized by B.Plan Sport & Events (BPSE) in cooperation with Melges Europe. Another weak northeast gradient lingered producing a 6-8 knot northerly wind, with the breeze dipping below class minimums on occasion. PRO Anderson Reggio exercised patience, eventually firing off two quality races. 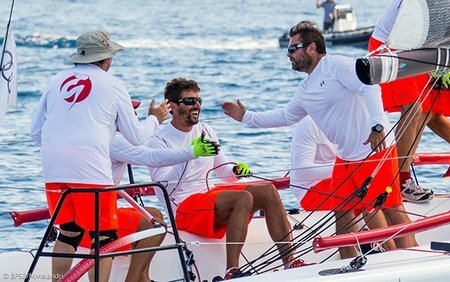 Trapani, Italy – In stark contrast to the full-on, breezy, physical conditions of the first day of Melges 32 World Championship racing, Day Two greeted competitors with light and dicey racing testing the mental toughness of the twenty-two boat fleet. With many teams licking their chops to improve on their Day One performance, the lighter conditions provided the perfect arena almost guaranteed to shake-up the standings. August 27, 2015—Singapore’s Ezra Holdings has entered a binding MOU with Japanese engineering giant Chiyoda Corporation. 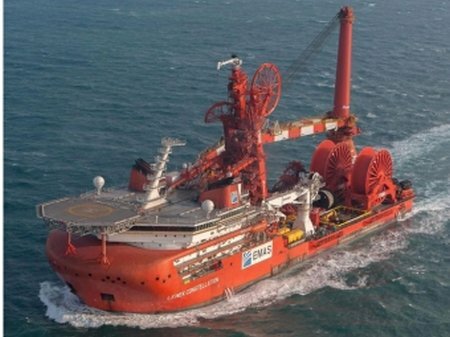 Chiyoda will invest in Ezra’s Subsea Services business to form Emas Chiyoda Subsea—a 50:50 Joint Venture. The partnership creates an opportunity for Emas AMC to expand its subsea-to-surface offering, and provide more value to clients and partners, and for Chiyoda to rapidly accelerate its expansion of its Offshore & Upstream business portfolio. Floating hotel barge Afrodyta for sale.